Basic online selection of low cost home, residential, business & commercial standby generators from Kohler. 8,500 watts (8.5 kW) to 144,000 watts (144 kW), 1 Phase, Engines from Kohler & GM. 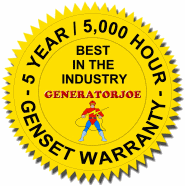 If you are looking for Kohler home standby generators this is the right page.